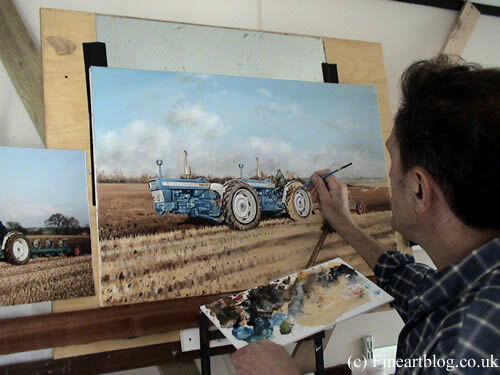 Steven Binks has been working hard as of late and has produced a number of new limited edition pieces featuring vintage Tractors. “The Fordson Major tractor [made by Ford] ceased production in 1964 and the Ford Pre-Force was introduced in 1965. Ernest Doe carried on with production using the direct replacement – the Ford 5000. These had more horsepower than the old Fordson, so the two new “5000” bolted together gave 130 horse power – so more H.P. and a new tractor – hence a new name: “DOE 130″.